I'd like to preface today's post by saying thank you to everyone who's kept up with my blog thus far and I apologize for the lack of content the past month. I was bogged down with a lot of schoolwork and (obviously) that took first priority since I'm graduating this semester (in three short days...like, what?). I'll be back to my regular posting routine starting this week so make sure to subscribe and follow me on my social media accounts (all at the bottom of the page) so that you know when I put something new up! And now, onto the reason why you're probably reading in the first place. 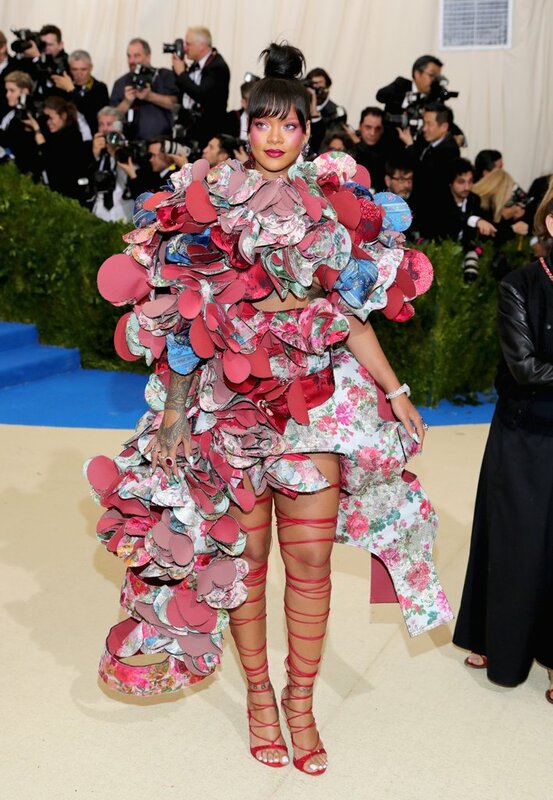 Last night was one of fashion's biggest annual nights: the Met Gala (or officially known as the Metropolitan Museum of Art Costume Institute Benefit). It's known for its numerous A-List celebrities, high-end designers, and exclusivity. In total, there are about 600 attendees. Tickets to the event are $30,000 a piece, tables $275,000 each, and it's invite-only. Even if you can afford the hefty price tag (not to mention the clothes and accessories necessary to fit in), that doesn't mean you can attend. Each guest is hand-picked and confirmed by Anna Wintour (yes, that Anna Wintour). She became chairwoman in 1999 and has since transformed the Met Gala into the extravagant event it is today. The purpose of the Gala is to fund the Met's Costume Institute, the only department of the museum that has to finance itself; last year it raised $13.5 million. Each year, there is a specific theme that attendees are encouraged to follow. Two years ago it was "China: Through the Looking Glass," last year it was "Manus ex Machina" and this year's was "Rei Kawakubo/Comme des Garcons: Art of the In-Between." Rei Kawakubo is a renowned Japanese fashion designer known for her adrogynous, non-flattering clothing. She aims to challenges societal expectations of beauty, gender, and identity. She is the only the second living single designer to have an entire show dedicated to her work since the inception of the Gala in 1948, with Yves Saint Laurent being the first. And now, onto my favorite part -- THE LOOKS (which can be found at nytimes.com, popsugar.com, and eonline.com). Of course, this is nowhere near all of the amazing outfits that were debuted on the red carpet but these were my absolute favorites. Maybe if I play my cards right I'll have the opportunity to attend the Met Gala myself. Recycle the Old, 50% Off the New.